Have a banshee. I’m on Sheehq. 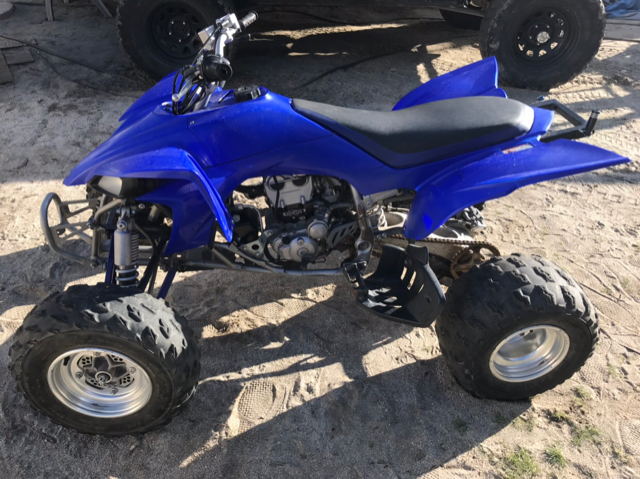 Bought a 450. Used. 2007. Po stated he had about a year, seemed reputable. 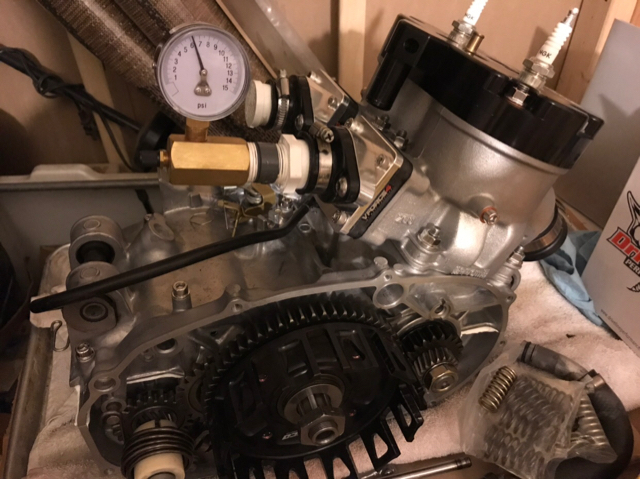 Po stayed all he knew from the guy he bought it from was “501 ice cube big bore with hot cam valve kit” and to run 101 octane or 91 with booster. 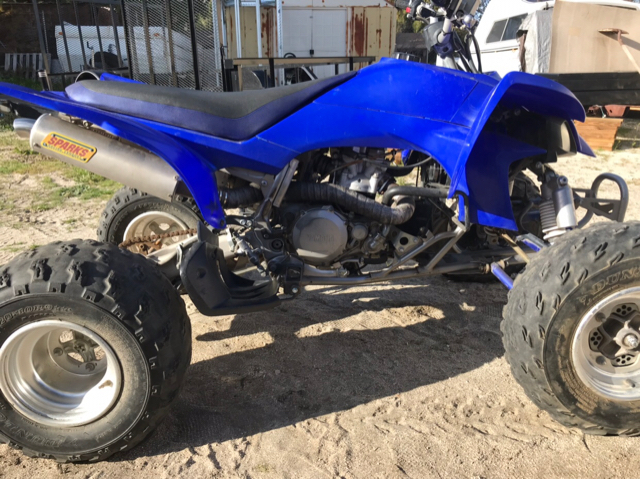 Po said guy he bought it from was Jonathon Covarrubias from the Pismo area California. The big bore kits need pistons cut so oil will squirt right place...??? Is the chain roller re-locator necessary to keep swing arm from damage? Would a chariot chain tension be good idea? How would I know what octane to run? I do not want to blow this motor because I have no clues. Need to pull valve cover to see cams...what would I be looking for? I read somewhere not to do the “cam mod” with the hot cams? Are the 20$ silicone hoses from amazon just as good as 60$ cv4 hoses? I’m sure I’ll be all over the for sale section. Need to replace some rusty stuff. Lots of info in these forums. I’m located so cal near Coachella. So looks like compression test cannot be done due to decomp bump on cam...would this be the same if the cams were aftermarket? I am familiar with leak down for 2 stroke. Plug exhaust and intake. Hold 6pounds for 6 minutes. Looking to replace rusty stock axle, front lower a arms. Looking for heal guards/nerfsI like the ac pro pegs I got for the banshee—not sure if I can find them for 450. Havnt looked. I read somewhere that ther is a clear 3m film to keep things protected like the headlights...anyone have a link to this stuff? Does it leave a nasty residue if removed? 98, 1121, 44, and 32 posts. Lots of info to filter through and decide what is legit. There are some really nice write up’s. Highly appreciative to those members. Plan on adding the kickstart mod. Will the bike still run and start if battery dead? If not I’m not doing the kickstart mod. Apologize for being such a noob but I want to ensure I do this stuff right. I went through a lot of funds without clues when building my banshee the way I want. Yup. You can start the bike with out the battery. You'll be fine. My buddy parked his always down hill to bump start every time. You'll be happy with the 450. Actually bump starting sounds better then trying to kick start a big bore....how do I find out what the comp ratio is? Or motor has to be torn down for that? Thnx for the eye opener. I allready have a old pan head that tries to break my leg. I’ve been told the cam mod is for stock cams only. What am I looking for when I get cam/valve cover off? How do I figure out what octane fuel I should be running? Been riding my shee and cr250 so long I forgot how to ride a 4 stroke. This thing is loud! Guess I’m afraid of over Erving it and keep stalling in too high of a gear. 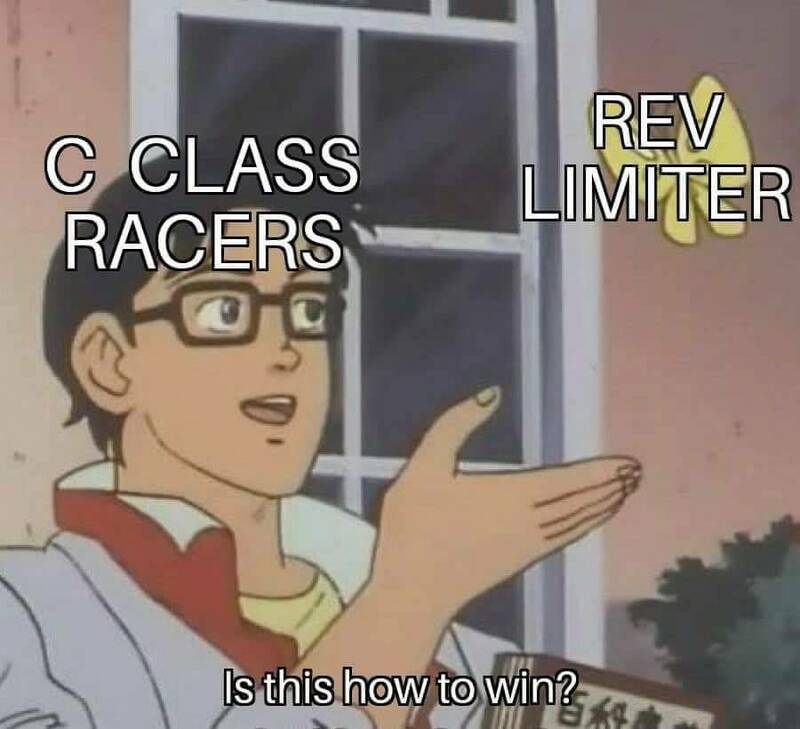 450 have a rev limiter? Last 4 stroke I’ve been on is my 110. Besides street. 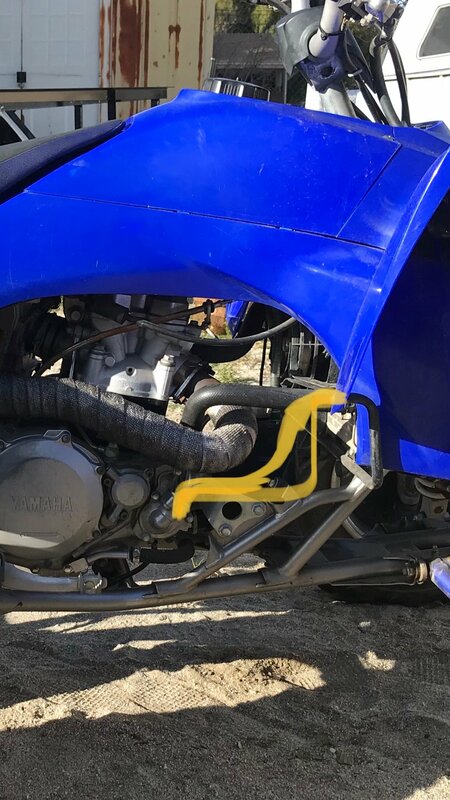 Is there aftermarket water pump cover or anyone who has re routed the hose to not be so close to the head pipe. I’m thinking routed under/in front of the pipe then up to water pump. I've never seen anyone re-route it. If you're worried the dirtbike ones usually get even closer. I never had an issue on my old carb 450 like that and I live in Miami. I can’t say I’m worried about it melting as much as I am the heat transfer from header to coolant. I don’t ride the extreme heat months but I do go out when it is warmer. Today 03:56 PM by Kimbo T.